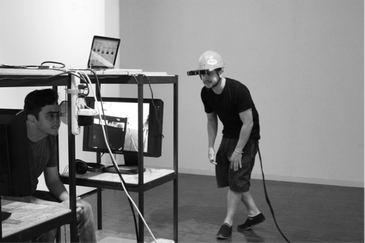 A stereoscopic experience in which the viewer is able to control which of the two films dominates perception. 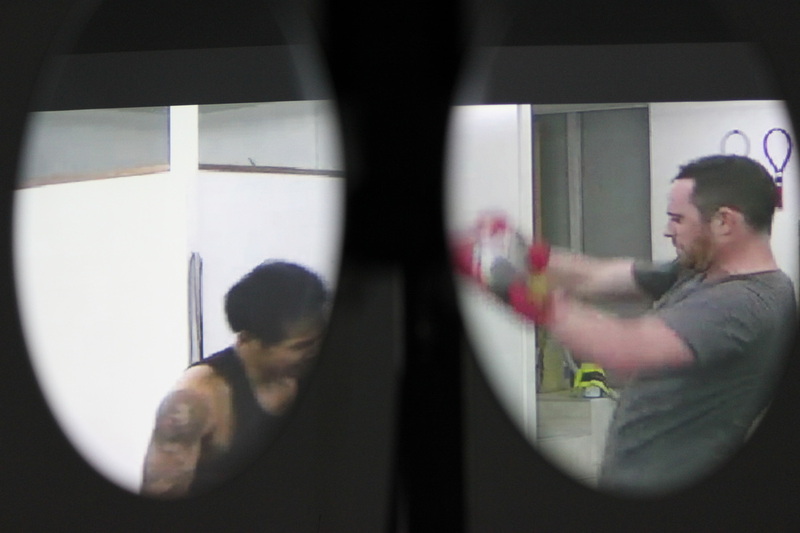 Two projectors are showing a stereoscopic film of a boxer training. 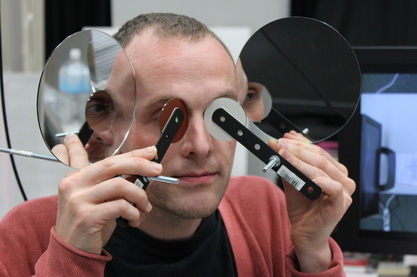 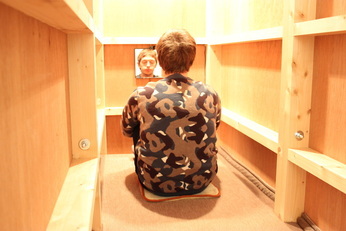 The films are viewed simultaneously through a mirrored viewing device. 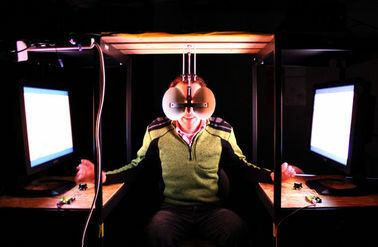 The films are out of sync, meaning that the moving parts are seen differently by the left and the right eyes, while the rest of the film is in stereoscopic 3D. 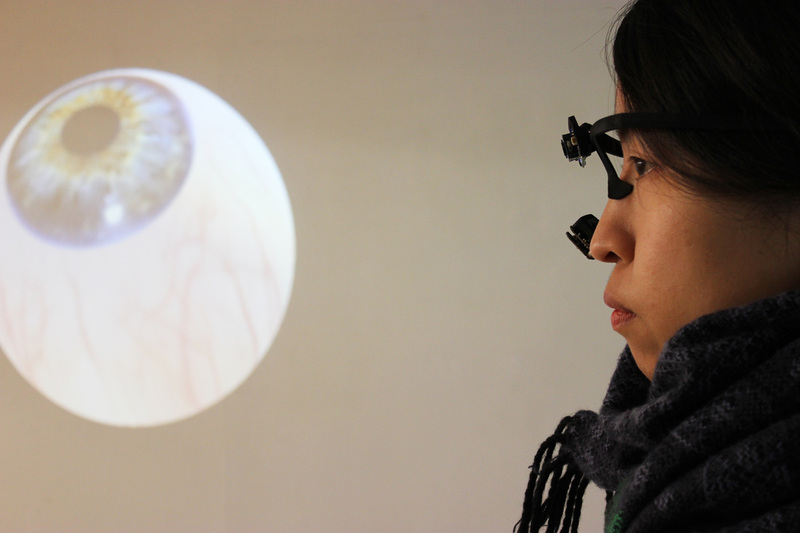 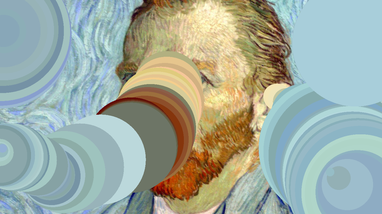 This leads to a struggle in terms of which information we perceive due to binocular rivalry. 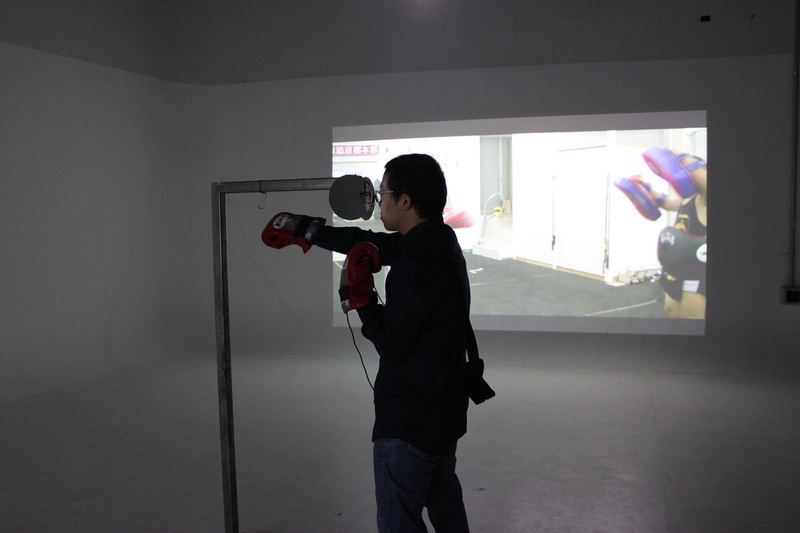 The speed of the films is controlled by accelerometers inside two boxing gloves. 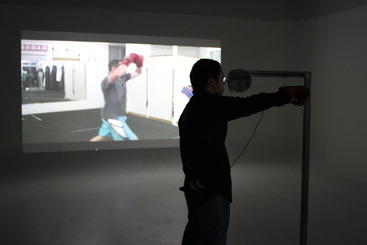 The viewer can move their arms while watching the films (in a motion similar to the content they are watching) and in doing so the film will respond to the movement and speed up to normal speed. 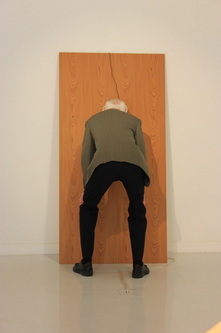 The hope is that viewers are able to control which of the two conflicting images they see through this physical interaction with their surroundings and trick the very part of the brain where perception enters consciousness.